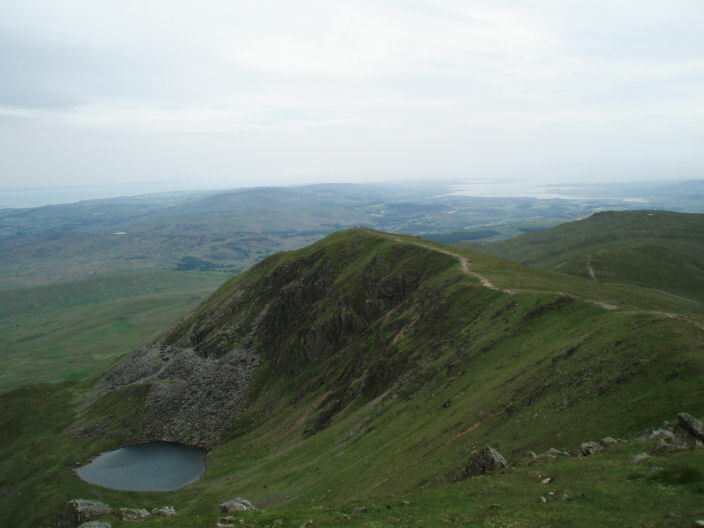 A return to the Old Man of Coniston today that was a real contrast to our visit 5 weeks earlier. It was very hot and extra water was carried and drunk. 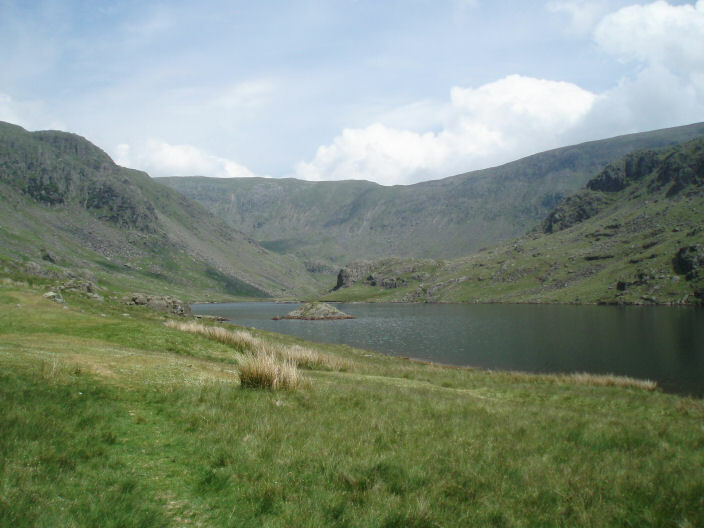 We avoided the crowds on the way up by heading for Seathwaite Tarn and then ascending to Goat's Hause. As usual the top of the Old Man was busy as was the top of Dow Crag, which we reached when the climbers we had been watching ascend it from our lunch spot on the Old Man's summit were also arriving there. 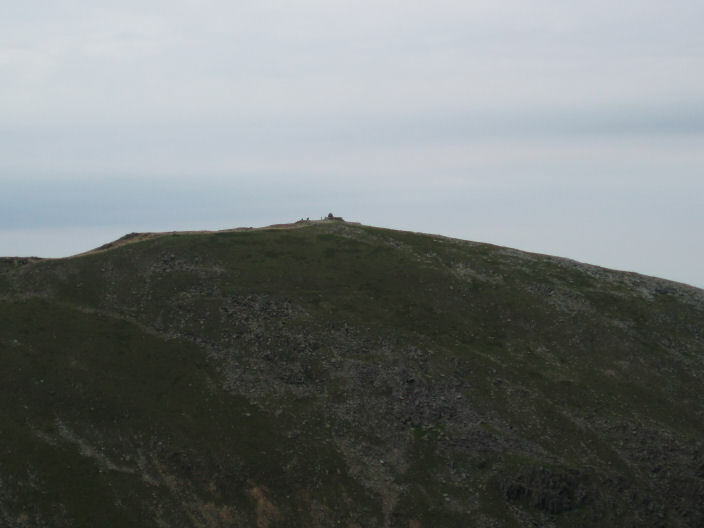 Weather: Hot with a welcome breeze on the top of the Old Man. 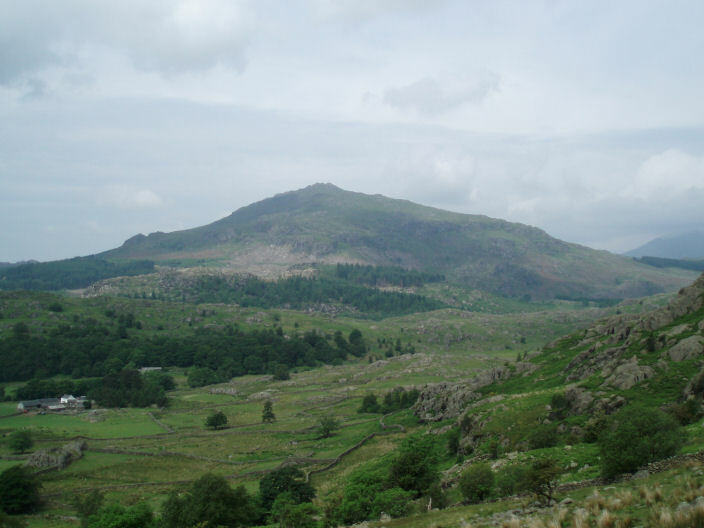 Harter Fell from the track to Seathwaite Tarn. 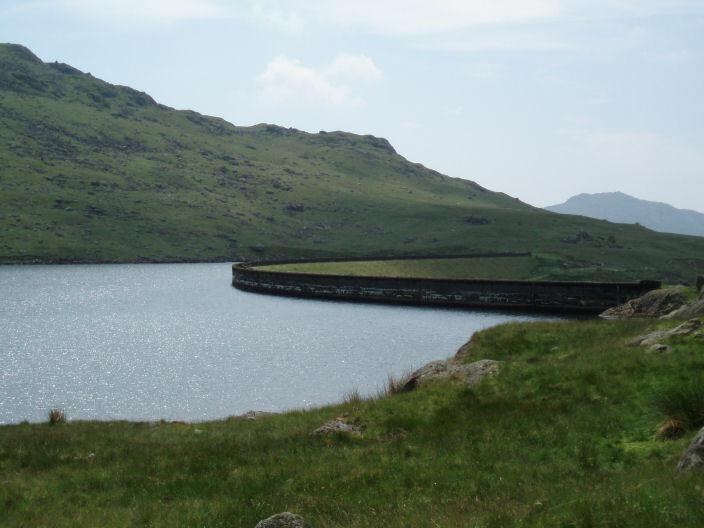 The wall we crossed in front of Seathwaite Tarn. on the map and the route we had intended to use to gain the summit. 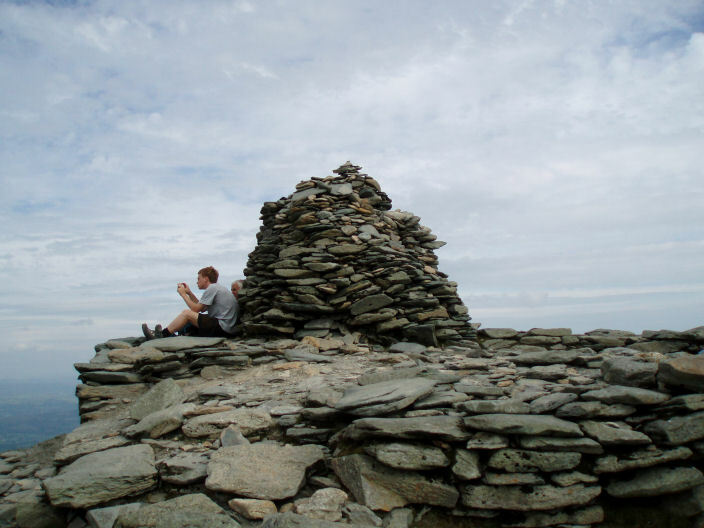 The summit cairn on the Old Man of Coniston, relatively quiet considering the number of people up there. 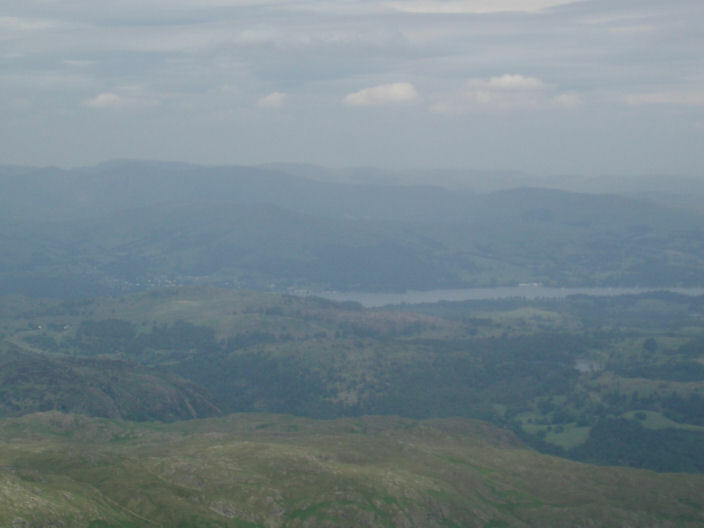 A hazy shot of Windermere from the Old Man's summit. 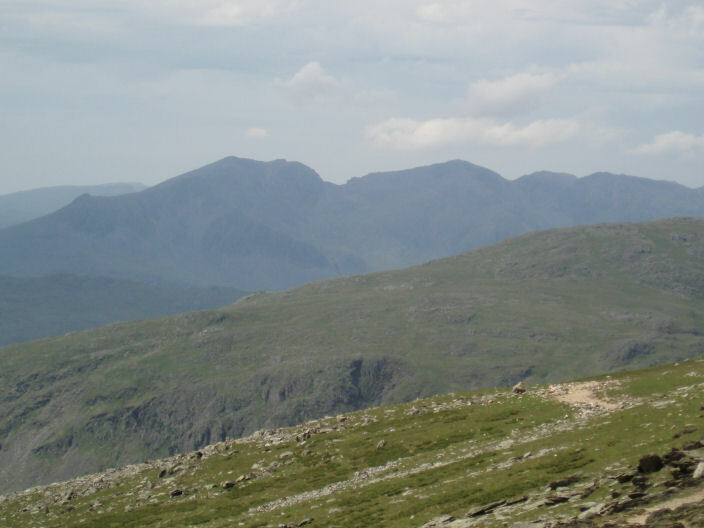 The Scafells now clear of the early morning cloud. 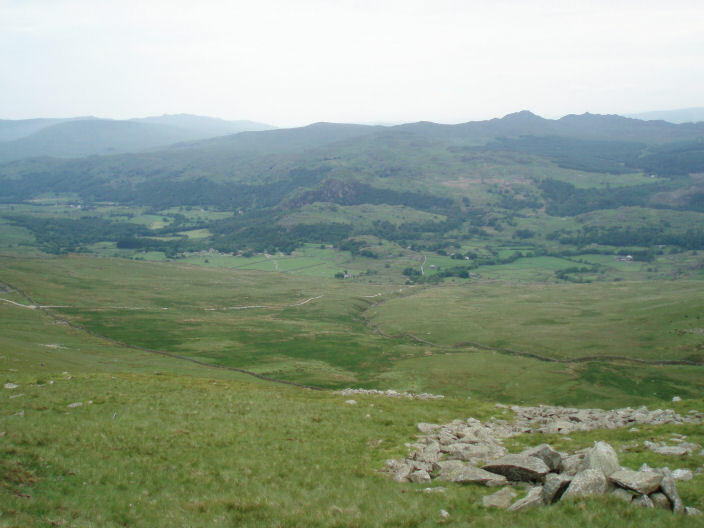 Looking across to Dow Crag (right) and Buck Pike (left), the route back. 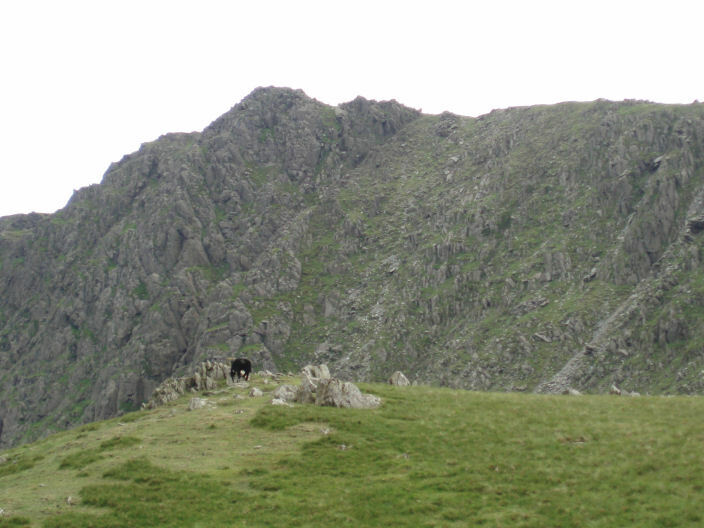 Dow Crag from Goat's Hawse. 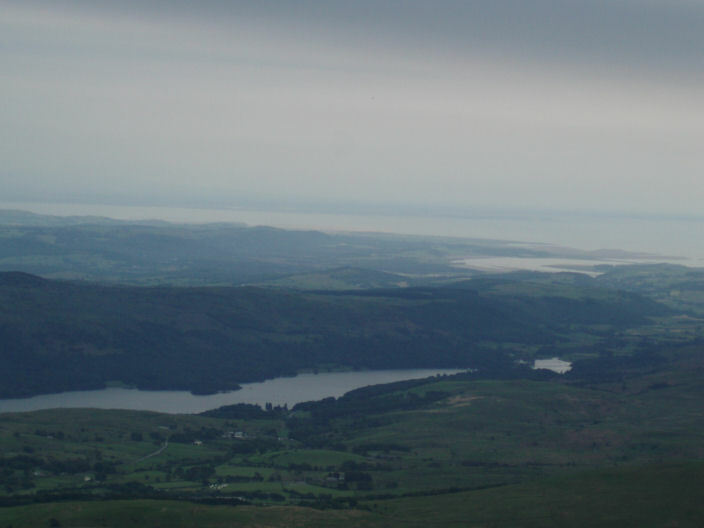 A hazy Leven Estuary & Morecambe Bay from Dow Crag. 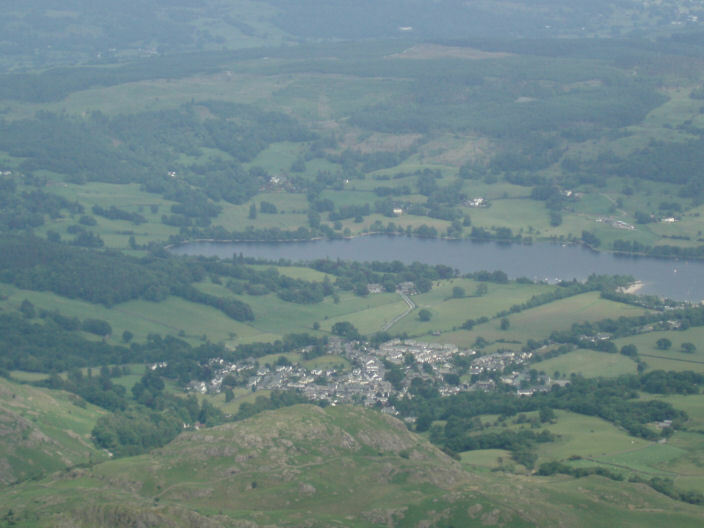 The Old Man of Coniston from Dow Crag. 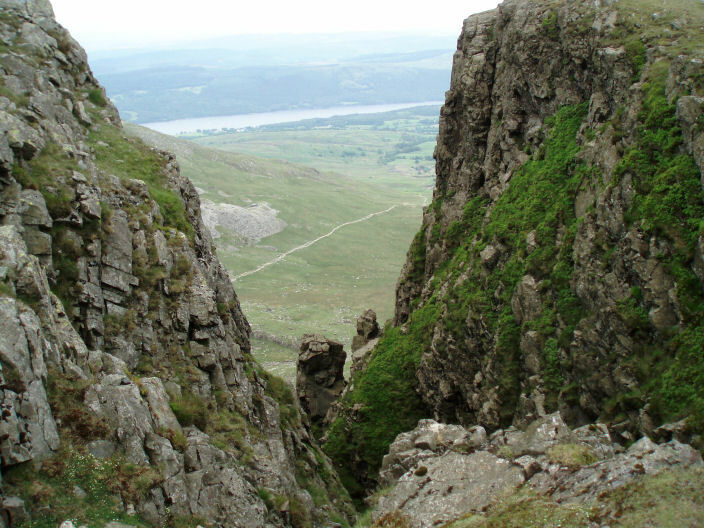 Looking down Easy Gully to the Pinnacle. 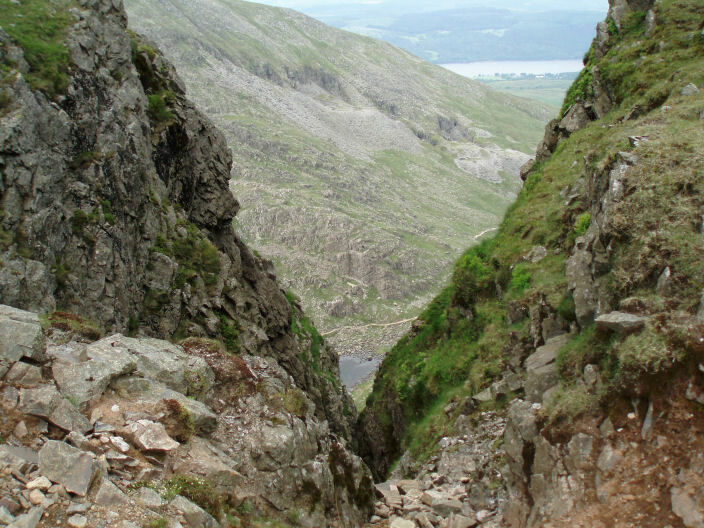 It's a long way down to Goat's Water. 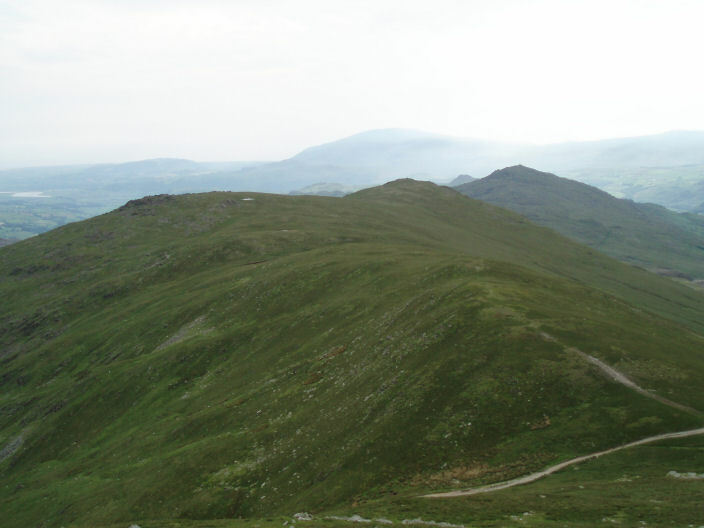 From Buck Pike, the path to Brown Pike with Blind Tarn below. 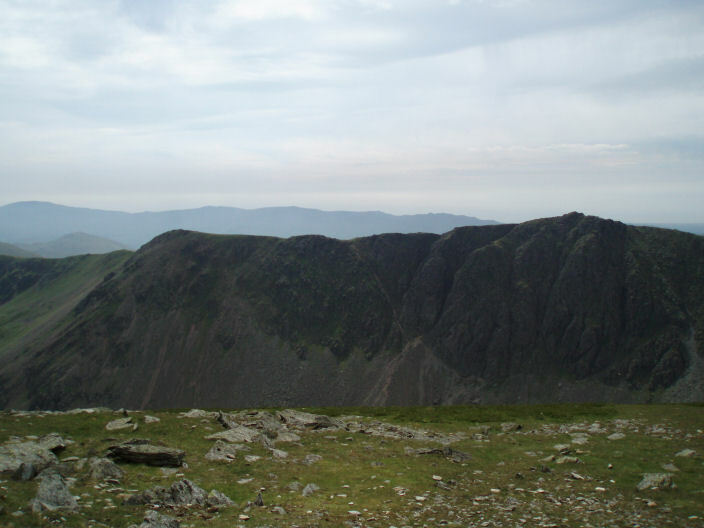 Looking across at the summits of Walna Scar, White Maiden & White Pike, with Caw and Black Combe behind. The white line is the Walna Scar Road and our route down to the car.